Metrobanner at Nydalen metro station, exit Sandakerveien, tile wall. • Document is preferably made in 1:2. 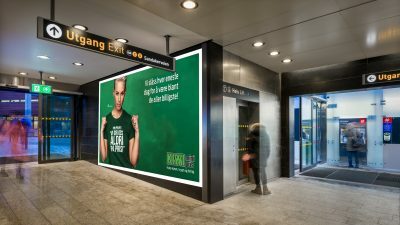 METRO STATION, ADVERTISER, FORMAT and WEEK OF CAMPAIGN.